When I left England, I thought my days of hitting up summer festivals were over. America (my home) is not known for festivals though there are a few traveling ones here and there, but nothing on the scale of Europe’s legendary metal festivals. 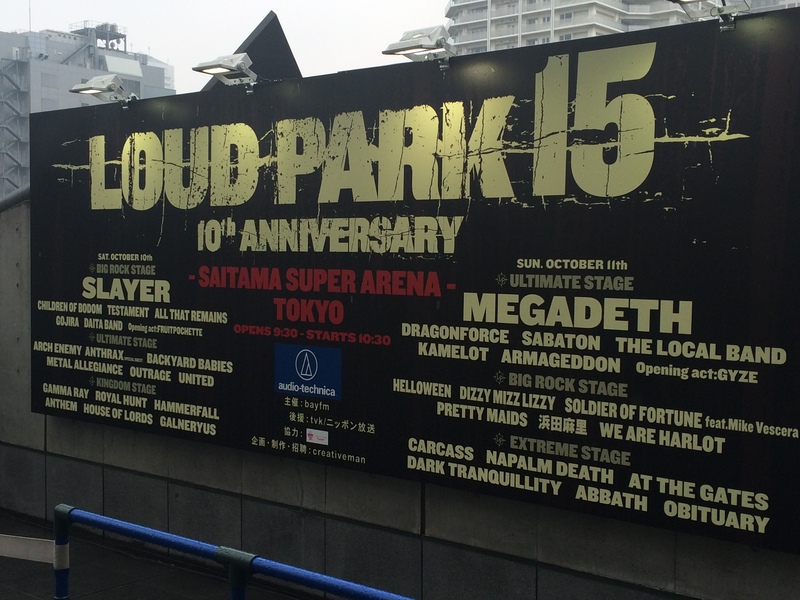 Now that I live in Japan, it’s great to see a three-stage major metal event called Loud Park. And, it’s in Tokyo! Lucky me! This year’s annual experience was the 10th anniversary and was well stocked with heavy-hitting brand names such as Slayer (day 1 headliner), Anthrax, Arch Enemy, Gojira, All That Remains, Testament, Children of Bodom, Metal Allegiance (featuring Big Four members and then some), Hammerfall, Royal Hunt, and Gamma Ray. Since I typically attend one day, I felt this lineup was the weaker of the two. 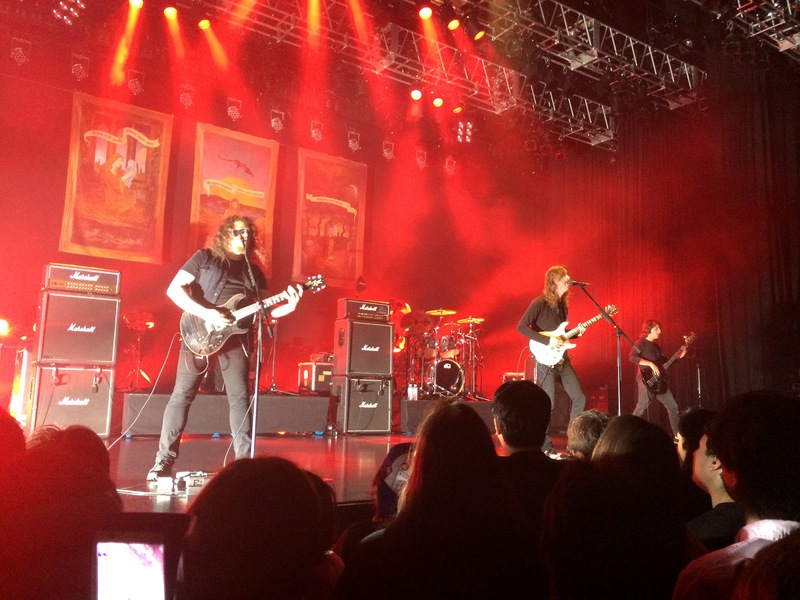 Here is my review of day 2 featuring headliners Megadeth. It was An Evening With Machine Head. I think this is the fifth time I have seen An Evening With (insert band name here) and it is well worth it. Why? Because you get to see, Machine Head in this case, play an assortment of songs they would never have time to play during a normal 75-90 minute set on any other headlining or festival tour. The only problem with a tour like this is that you really have to like the band a lot to want to go see just them. Sometimes a strong headlining act supported by decent bands is a nice package that makes the trip worth it. Machine Head proved plenty capable of going it alone. 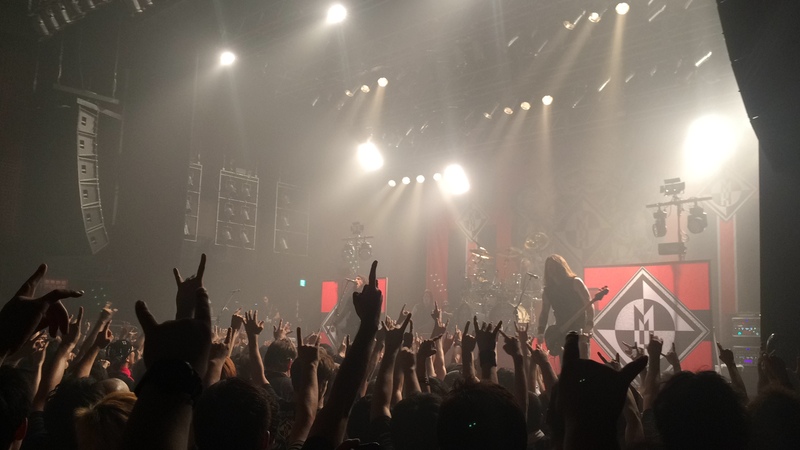 They rocked Tokyo’s Club O-East in the Shibuya district on 6 July 2015 for 2 ½ hours. If you have been following A Metal State of Mind, you may have noticed that Opeth gets mentioned quite a bit for one reason or another. I guess you could say, as a whole, we like them here. Just putting the bias up front. This time it’s yet another show review; my first from the island nation of Japan. The Roppongi district of Tokyo was the setting for the show; my third time seeing Opeth and my first ever concert that actually ended at a very reasonable time. In short, it was a great night for many reasons and here is a rundown of the evening. Genre bending in metal isn’t a new thing. Tons of bands do it, tossing bits of other contrasting musical genres in with their brand of metal. Death metal with bag pipe breakdowns, doom infused with funk bass lines, power metal diving into classical music sections, and so on. There is also metal mixed with other forms of metal. I guess you could say that heavy metal is the melting pot of music as there doesn’t seem to be one genre of music that it won’t work with. Tokyo’s Sigh look to take this statement to the extreme with their new album In Somniphobia. A staggering number of musical genres makes an appearance on this record (various styles of jazz taking the forefront) all backed by a black metal and NWOBHM core. This makes an album that is not only rich in content but also a refreshing joy to listen to.